Russian-language propagandists are taking aim at Canada's military mission to Latvia by linking the troops to the army's most disgraced commander. A website with the same name as a prominent Russian news program has re-published infamous photos of convicted killer Russell Williams wearing women's underwear, suggesting the Canadian army is full of homosexuals and shouldn't be counted on by Latvians. Canadian commanders had been warned to expect a barrage of negative Russian propaganda over this mission. The article appeared on a Russian-language news site called Vesti.lv, which is also the name of a TV news show in Russia. The story mocks Canada's military mission in Latvia with the headline, "The Gay Battlegroup: NATO has dug into Latvia." Pogano in this story the following: having brought in my Latvia any rusty armored junk and the officers who are not able to manage with spirits, any overseas bosses can suddenly decide that it is time to check once again the strength of the Russian army, - considers the Latvian publicist Yuri Alekseev .
" 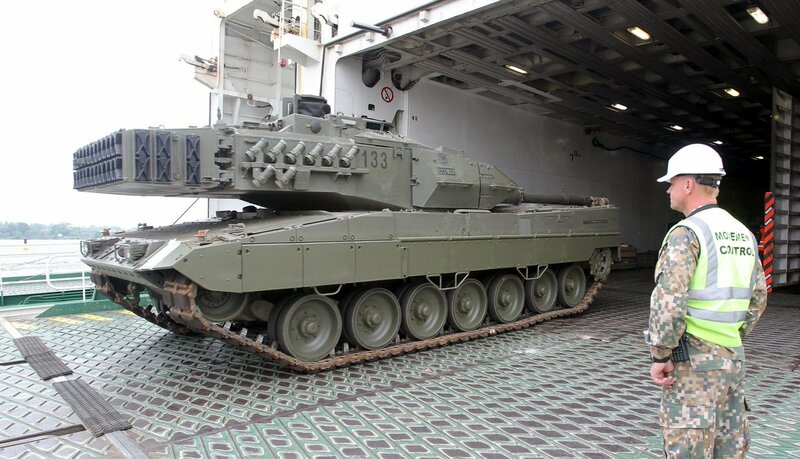 Spanish tanks arrived in Latvia, and with them - 300 Spaniards . This is NATO's intention to protect our country from the bloodthirsty Putin, "writes Latvian publicist Yuri Alekseev on the portal Imhoclub . Canadian colonels ... Spanish tankmen ... Italian marines ... Polish motorized cavalry ... Dutch airplanes (in half with Danish) ... Slovenian navy ... And cherry on the cake - Albanian strategic missile forces. I have not forgotten anyone? Nothing mixed up? Lord, forgive me! But seriously, this clowning personally began to irritate me. Not funny. 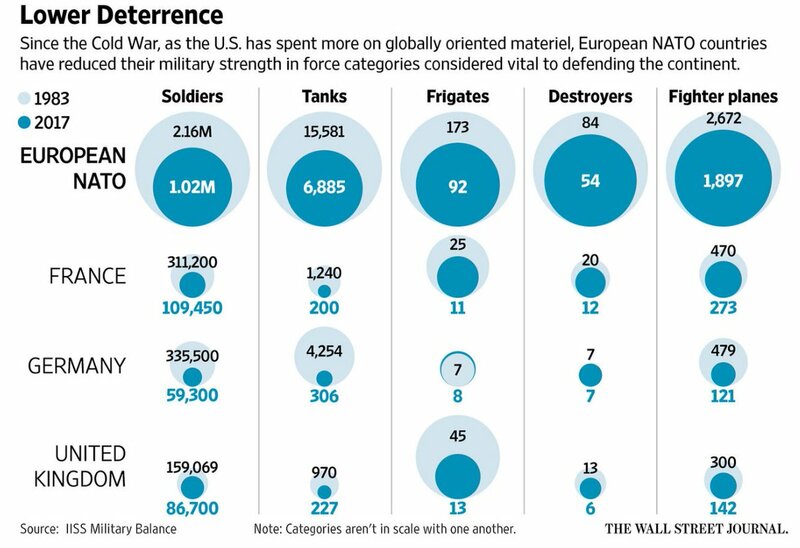 In the whole circus called "NATO" there is only one more or less efficient army - the United States. And then, when they are opposed by the enemy, who has been behind the armament for half a century, or better - for the century. All other "troops" (Canadian, Slovenian, Albanian, Latvian, Estonian) are amusing. Deeply amusing. Just recently, these soldiers were carrying a fuel tank across Latvia, collided with their own military police car (one of them did not give way) and overturned (two military men in the hospital) ... In Estonia NATO BTR flew out of the road and into something (Two in the hospital), the NATO signalers hooked up the high-voltage line with the antenna (two more - in the hospital) ... And the worst thing: the NATO officer warmed up the dinner on the spirit lamp - set fire to his pants (I'm afraid he was there) ... Wars Not yet, but the losses are huge (as a percentage of the number of troops). Let's approach the question from the other side: who goes to the army in modern Europe? Have you seen that young (European)? I see her regularly. A pampered herbivorous generation. At the age of 20 already with pusses and beards. And I'll tell you: these boys, who have gathered from countries that have never won a single war in their entire history, just went to serve in the army in order to earn some money and get benefits (insurance, service pensions, etc.) . And anyway, the beautiful shape is cool ... Do they want war? God forbid! They and in peacetime, their perineum scorch regularly. Pogano in this story the following: having brought in my Latvia any rusty armored junk and the officers who are not able to manage with spirits, any overseas bosses can suddenly decide that it is time to check once again the strength of the Russian army. Do you think it's incredible? And 9 years ago a Georgian dzhigit has already tried it. And I do not believe that he did it on his own initiative, without getting orders from across the ocean. And he also had a ******* army of jigits, who had been trained by "experienced NATO instructors" for many years. Mind and military skill they did not add to the jigits, but they inspired the conviction that Russians can be defeated. Everything ended badly. Not in the sense that self-assured dzhigits got on brains quickly and rigidly (it just was them - it is useful). And the fact that a lot of ammunition produced on both sides fell on the heads of a peaceful, absolutely unaffected population. Therefore, I think that I will not be mistaken if I try to formulate the general opinion of the majority of the inhabitants of Latvia: but you would not go, Spanish tankmen, with your tanks back to your Spain. Drink your wine there, eat the jamon, and it will become quite boring - shoot from the tanks in your Catalans or Basques. You do not need us here at all. Adyos, amigos! PS And the Spaniards with their tanks are not the first time here. There was such a Spanish volunteer "Blue Division" in the Wehrmacht, which fought with the USSR in the Second World War. In the siege of Leningrad, she participated ... For her it was very badly over. PPS On the photo above - the color of the Canadian officers - the commander of the largest air force base. On the right - in the service, on the left - in social networks. A real colonel! The truth is Canadian ... "
And before discounting this as "just some crap web page," keep in mind people smarter than me out there say Russian-language speakers in Latvia consume very little Latvian- or English-language media, meaning what they see/hear/read may be pretty much all they know about the Canadian mission. Another earth-shattering development shared with the world by Russian state-funded media! "A US Army soldier has been fined after getting caught urinating on the building of the Lithuanian Ministry of the Interior in Vilnius, Lithuania. The incident is the latest in what seems like a never-ending series of unpleasant situations involving NATO troops in the Baltic countries in recent weeks ..."
As Canadian troops begin their mission in Latvia — a deterrence operation, intended to send a strong message to Russia about interfering in neighbouring NATO member countries — an invisible battle for hearts and minds will be happening back at home. The goal: destroy public support for the mission in Canada. Russia isn't likely to engage in conventional warfare anytime soon, but it does have a number of information warfare tools it can use to test NATO's resolve and capabilities without sparking a broader conflict. Many of us have already heard about these tools taking the form of fake news, online trolls, data leaks and targeted digital surveillance of troops and their families back home. But that's just the tip of the iceberg. The real power in modern information warfare is what I call "participatory propaganda," in which a propagandist seeks to influence unsuspecting people in order to get them to actively start spreading a certain message, for free, without them even knowing what's happening. In this Russian example, not only would it sow ill-will toward Canadian troops among Latvian hosts, but it will also aim to delegitimize the mission in the eyes of Canadians at home. Here's how this works. Propagandists can already access a wealth of information about a target audience based on its public online activities. In a country with high internet usage such as Canada, propagandists can piece together a startling amount of intelligence based on what websites people visit, their online shopping habits, the things they like on Facebook, their sources of information and the friends they keep, all of which is largely gleaned through third-party tracking cookies and other service providers. That information can, in turn, be used to create inflammatory content that plays on identified biases in thinking and aims to provoke the viewer into action. This content can come in the form of fake news, memes and data "leaks," which will be pushed through the online communities Canadians frequent: for example, far right and far left Facebook groups. Let's imagine, for example, that "Bill" from Manitoba has a bunch of friends who follow the Canada First Facebook page. One of those friends shares an article about Canada's minister of defence embellishing his role in Afghanistan. Now, Bill is very much a supporter of our troops, and the story angers Bill, so he posts an emoji reaction and comments on the post. Perhaps he shares it further and even likes the Facebook page. When a more racist meme about the minister comes out next, Bill might be primed to engage. Over time, this exposure makes him more receptive to such messages and erodes his faith in the minister's decision-making abilities, all of which makes Bill — and other members of the page — ripe for propaganda delegitimizing the NATO mission in Latvia. Russian propagandists need not start or run these pages, but simply inject content onto them. To the audiences engaging with it, this content will seem to be coming from other concerned Canadians running Facebook pages. And as Canadians are increasingly exposed to this "information," they will be encouraged to actively spread and share these messages to their networks, co-opting unsuspecting users into participating as propagandists too. Ultimately, this flurry of activity will gain the attention of mainstream media, which will only provide more exposure for these propaganda efforts. What's more, these channels don't simply disappear after a conflict has ended, but are instead repurposed time and time again to influence decision-making on other key issues. In the UK, for example, many Facebook pages and web networks established for Brexit were kept alive after the vote and subsequently used to galvanize support for the right during the recent general election. While governments and politicians might be the ultimate power behind such propaganda campaigns, there is an underworld marketplace with trolls-for-hire that help make such efforts possible. In short, this is an evolving threat that, to tackle, requires a combined skill set of countering modern propaganda, advanced understanding of information communication technologies, behavioural psychology and more. The Canadian Armed Forces certainly have a challenging task before them. The recently released Liberal defence policy acknowledges pressing needs in the cyber and information operations domains for the future, but that support is sorely needed now. Russia has long questioned NATO's necessity in a post-Soviet era, and NATO, in turn, has struggled to create a narrative that resonates among all its member states. Justifying a mission both to Latvians and Canadians back at home — especially in the face of increasingly complex propaganda models — is a much more difficult task. And this came down Thursday on the regimental net. The Chief of Defence Staff has directed the deployment of a M777 Battery from the Canadian Army in support of the Enhanced Forward Presence Battle Group (eFP BG), specifically for bi-lateral training with U.S. units in September 2017, and Exercise SILVER ARROW, occurring in October 2017. 1 RCHA has been tasked to generate a 4 gun M777 Bty. Equipment will be shipped from Canada in late July and our soldiers will deploy under command of BC Z Bty, Maj Keith Woodill in Late Aug or Early Sep. Maj Woodill's Tac HQ along with FSCC and one FOO Party are already in Latvia and providing Fire support advice and coordination to the 1 PPCLI eFP BG. The 1 PPCLI eFP BG is comprised of approx. 450 Canadians and soldiers from Albania, Italy, Poland Slovenia and Spain. Now maybe im crazy but Old sweat is that info in public domain right now or should it be deleted as OPSEC? Message via Russian-language media in Latvia: "Not only are Canadian troops driving up rents in Riga, our tax dollars are going towards taking care of these guys!" A high-level Russian official is unimpressed with Canada's war games in the Baltics. "There is no other way to interpret what's going on in the Baltic republics [than] as a very provocative action," Maria Zakharova, chief spokesperson for Russia's Ministry of Foreign Affairs, said in an interview with CBC News. "How can that bring more stability to European security?" said Zakharova. "I cannot understand that. Nobody in Russia can understand that." Russia's annexation of Crimea and its military support to separatists in eastern Ukraine spooked some Baltic republics and prompted the request for NATO to bolster its presence in the border region. That led the Trudeau government to commit more than $350 million dollars to send Canadian troops to lead the NATO force in Latvia for three years. Five other countries — Italy, Spain, Poland, Slovenia and Albania — are also part of Operation Reassurance. The exercise they've been engaged in this past week — their first major one — is essential for testing their battle-readiness. After five days and nights living out of a mud trench, the end is finally in sight for Maj. Chelsea Braybrook and the rest of Bravo Company. 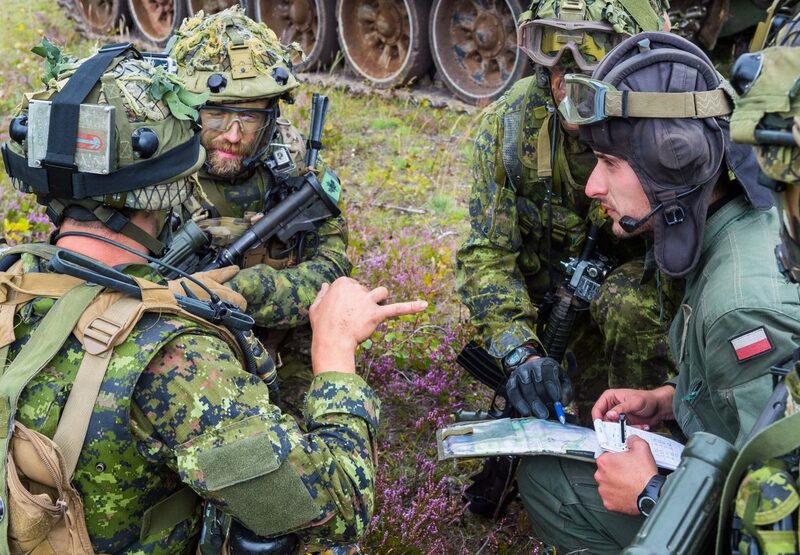 "We're in the last phase now," said Braybrook, a member of the Edmonton-based Princess Patricia's Canadian Light Infantry and one of 450 Canadian soldiers stationed here as part of the Canadian-led NATO battle group. "I'd say we have at most another 48 hours of defensive operations," said Braybrook. The aim of the exercise was to repel a conventional enemy attack with armour and infantry units and to hold a forested area about an hour's drive north of Latvia's capital. Every member of Canada's battle group wears thick camouflage makeup on their faces. NATO’s four multinational battlegroups in Estonia, Latvia, Lithuania and Poland are now fully operational. This milestone comes after the Canadian-led battlegroup based at Camp Ādaži in Latvia became the fourth battlegroup to complete its Certification Exercise. In response to a changed security environment, Allied leaders decided at the Warsaw Summit in 2016 to enhance NATO’s military presence in the eastern part of the Alliance. Since then, four multinational battlegroups totaling approximately 4,500 troops have deployed to the Baltic nations and Poland. 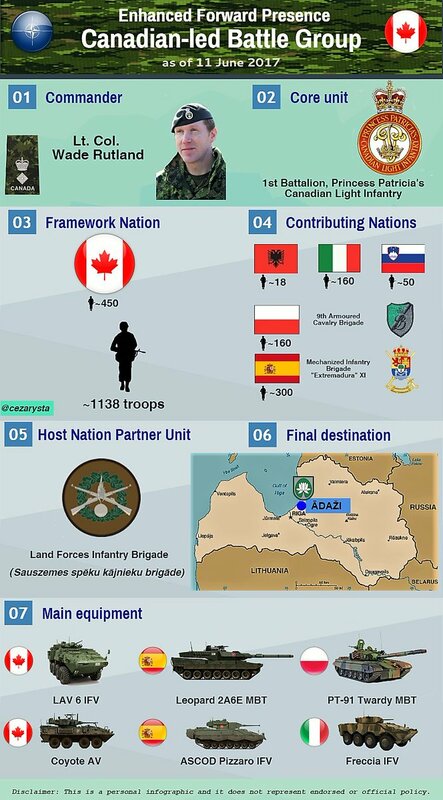 Canada leads the battlegroup in Latvia, with contributions by Albania, Italy, Poland, Slovenia and Spain. Germany leads the battlegroup in Lithuania, with contributions by Belgium, Luxembourg, the Netherlands and Norway. The United Kingdom leads the battlegroup in Estonia, with contributions by France. The United States leads the battlegroup in Poland, with contributions by Romania and the UK. These forces are a defensive and proportionate deterrent force, fully in line with NATO’s international commitments. They send a clear message that an attack on one Ally would be met by troops from across the Alliance. The four battlegroups are one part of the Alliance’s response to Russia’s use of force against its neighbours and its military build-up in the Baltic region and beyond. NATO is also strengthening its multinational presence in the Black Sea region, based around a Romanian-led multinational framework brigade. The Alliance has also tripled the size of the NATO Response Force to 40,000 - with a high-readiness Spearhead Force at its core - and set up eight small headquarters (NATO Force Integration Units) to facilitate training and reinforcements. They send a clear message that an attack on one Ally would be met by troops from across the Alliance the United States. Commander of NATO’s enhanced Forward Presence Battlegroup in Latvia. — What are the tasks of your battlegroup? What are the priorities of this battlegroup? — Deter any possible aggression and defend the region if necessary, in order to prevent conflict. The theory behind deterrence is that you have a capability, professional soldiers, and the will to use it, and what that’s intended to do is change the mindset of an adversary that would maybe do something harmful or inappropriate. So deterrence is the main mission. Now, how we do that on a day to day basis? This isn’t this kind of typical Afghanistan or Bosnia mission which we’ve done in the past. Latvia has a fully functioning security apparatus, government and economy. So what we’re mainly going to do on a day to day basis is train, and that’s for couple of reasons. Number one is that’s what soldiers do – it keeps their skills sharp. Also, we’re a multinational battlegroup that is being integrated into the Latvian Land Forces, and we need to train together. Each nation has their own progression of training, and so every individual group arrived in theatre at their nation’s highest level of army training. What we’re doing now is working together as a cohesive entity and as part of the Latvian Land Forces. The next thing we’re going do is outreach - to show who and what we are to the population, just like we would do in our home nations. When there is a school or event we’ll send some soldiers and equipment, and give a briefing of who we are and what we do. By doing that, conducting our training which is always open, transparent – and showing what we do... we will accomplish our mission. And accomplishing our mission means that we go home, and really everything stays peaceful and we go home satisfied with what we accomplished here. — For you it’s maybe most difficult, because for second team it will be maybe easier, because they know the situation... What was your, like, expectations, what will be here, because, like you said, it’s Latvia, it’s not Afghanistan, it’s completely different story, different life... and... and different mission? What was your personal feelings for coming here? — Yes, so before the Warsaw Summit when we started to get the news that the Canadian led eFP battlegroup would be paired with Latvia, I could certainly pick it out on the map as one of the Baltic States, but other than most of what I knew came from having watched Canada play Latvia in hockey a few times. Any time we go to new area though, we do research and we actually had a great program where all the leaders from each nation came to Canada, and we put on a really large educational session. A professor from the Latvian Defence Academy came to brief us, as did Colonel Lejiņš (Commander of the Latvian Land Forces Brigade). By early March we had a really good impression of what to expect – Latvian geography, their culture, the people, the infrastructure etc. As soldiers, we tend to be curious people, so everyone has read the history of the Baltic States and knows about names like Kārlis Ulmanis. It’s a good idea to know what you’re getting into – we gave briefings to all the soldiers. They knew what they were in for. And then I was lucky enough to come here for a month in April for exercise “Summer Shield’, where I got to see the terrain, and also meet all the Brigade personalities. This terrain is very familiar. There is a province in Canada called New Brunswick that is just like Latvia. It’s almost the same size, it’s got a coast line, the trees, the rivers, the climate – it’s very familiar for the Canadians that came here. So I think we had a pretty good idea of what we were in for and I don’t think there’s been any big surprises to be honest. — How is you cooperation going, you said about cooperation between Canadians and Latvians? What you would say, what is, like, most important to do – you said training? And what do you see what should be worked more on that, something, you know, like learning some special things, because as you said in different countries are doing different? Also with the Latvians another countries too, like Poland and Italy? How is this cooperation going? You are coming together and deciding which way to go or how you manage things or? Little addition coming to eFP in Latvia. (AP, 25 April 18) Slovakia's government has approved a plan to deploy 152 troops in the Baltics as part of NATO forces amid growing tensions between Russia and the West. Six million dollar man. Which ironically is 6 times more than our current bionics project gets... and that is just for the knees. Hmm. English is such an interesting language and flexible too. What used to referred to as an Forlorn Hope is now called a Leadership role or at least according to the CBC . Moscow. 24 July. Interfax-AVN-RF will take measures in response to active cooperation between Sweden and Finland with NATO, Russian Defence Minister Sergei Shoigu said. "The involvement of NATO in Finland and Sweden is worrying, and in May a treaty was signed that provides for their full participation in the exercises of the alliance and the possibility of using its command and control systems for troops and weapons." In exchange, NATO received unhindered access to the airspace and territorial waters of these countries, "said Minister at the collegium of the department on Tuesday. "Such steps by Western colleagues lead to the destruction of the existing security system in the world, generate even greater mistrust, forcing us to take retaliatory measures," S. Shoigu stressed. He said that the NATO contingents in Eastern Europe are continuing to grow: since 2014 their number has increased from 2 to 15 thousand servicemen. In his opinion, the intensity of the preparations for the alliance is constantly increasing. "Over 100 exercises have been conducted since the beginning of the year, in which up to 80,000 servicemen participated, while the number of personnel annually attracted to the series of exercises increased 10-fold over five years, and the number of combat aviation increased from 11 units to 101," said the Minister. He noted that "with the help of the United States in Europe deployed five centres of cyber operations - in Finland, Estonia, Poland, Germany and France." CAF to replace the RAF in patrolling the black sea. Will be interesting to see how our CF-18's compare to Su 30's. Might even cause the government to be more serious in looking for a new fighter jet. Might even cause the government to be more serious in looking for a new fighter jet.